At the Middle Stump, we like people from all walks of cricket, although we also like cricketers that walk, like we do, errr sometimes. So we caught up with ex England under 19 skipper, Paul McMahon, who is the captain of Minor Counties side, Cambridgeshire, and Paul gave us the low down on what is happening in that form of cricket at the moment. His side, Cambridgeshire are one of the up and coming sides in that form of the game, winning their division in 2011 before missing out on a day at Lord's last year.The Minor Counties need supporting, and in some cases get even more press coverage from their local paper than the first class boys. If you have a day to spare, and your Minor County is playing nearby, go along and have a look, you might just be surprised at the quality of cricket on offer. Paul gave us his thoughts on last season "It was better than expected but still ultimately disappointing, I think it's fair to say. [Obviously you can get the scorecards and stats from Cricinfo if you're interested in finding out exactly how we went]. We lost in the semi-final of the Trophy and won the Eastern Division of the Championship, before losing in the overall play-off final to Devon. Considering we didn't win a single game in 2009 and only won 4 in 2010, I suppose that counts as reasonable progress. And given we lost our first one-dayer of 2011 by 170 runs to Lincs (and I was fielding questions from the local media as to whether there were enough quality cricketers within the county for us to be competitive) we should be proud of how we developed as a team. To win two games having conceded a first innings deficit of 130+ runs was something quite special. But still something of a 'bridesmaid' season." So the Middle Stump asked him if he had better expectations for this season. "I just want the young guys in our squad to keep developing and starting to do justice to their ability on a more consistent basis. I'm reluctant to set specific targets because the nature of sport is that there are many variables in play. As captain, I want to make sure that the environment we create is one that is conducive to Cambridgeshire winning games of cricket and, just as importantly, one that inculcates the habits and disciplines that our younger guys will need to acquire if they are to achieve the things that they're capable of in the game. If we get those controllable things in place, like game plans, tactics, preparations etc, then there's a good chance that positive results will follow and we'll do justice to the ability in the squad." Based at March Town CC and Wisbech, they have notable players in their side such as the prolific Darren Bicknell, who had a distinguished first class career at Surrey and Nottinghamshire, along with Dominic Reed, who played some first class games in 2011 for Cardiff MCCU and is now a part of the Unicorns side in the CB40. However, when players are amateurs, getting time off work can be a problem. Cambridgeshire have the ex Warwickshire seamer, Tom Mees in their ranks, but he will only be available for half of the games due to work commitments.McMahon himself was struggling with this last year, as not only did he play Minor Counties cricket, but his club side, Peterborough Town reached the quarter finals of the Cockspur T20 competition. He continued, "Availability is always a challenge at this level of the game but I think we're looking fairly well set up this summer, for which our players deserve great credit for getting their work schedules organised well in advance. Alongside playing and training commitments for their clubs at Premier League level (probably 25-30 playing days), we are asking people to be available for somewhere between 22-25 days over the summer. For example, last year, with Peterborough Town (my club side) getting to the Quarter Finals of the Cockspur T20 and Cambs getting to the semi-final of the Trophy and the play-off final of the Championship, I played 61 days of cricket in a 23 week period. It's a significant commitment and, alongside the ECB's age-related incentives, which stipulate that to qualify for the maximum central funding we have to field teams where the 9 youngest players have an average age of 26 or under, is probably a reason why Minor Counties teams are, in general, getting younger." 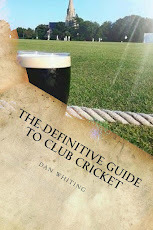 So what are the differences between Minor Counties and first class cricket ?" There are significant differences, which manifest themselves in various ways. Pitches aren't as quick or bouncy as they don't have the volume of preparation hours. Tall seamers bowling upwards of 80mph are generally snapped up by the first-class counties as youngsters and, when they come out of the other side of the first-class game, either aren't in a physical state to run in hard for four days in a row or lack the inclination to do so. With the age-related player payments having an effect at Minor Counties level (as in the first-class game) there is obviously an issue that needs to be monitored regarding maintaining the standard of the competition whilst ensuring it can be used as a pathway for those who wish to take their cricket to the next level. Whilst it would be true to say that a player with aspirations to play at first-class level should be looking to dominate in minor counties cricket, the flip side is that last year there were several first-class players who had made the step down and didn't have much of an impact over the course of the season." So our advice is get down and watch some Minor Counties cricket, this summer, if it ever stops raining. You might see an ex International, or you might just see the next big thing coming through in the game. McMahon finished off with, "You can see some fantastically competitive and skilful cricket in some wonderful venues. And most of the time you won't even be hassled to buy a programme or pay to park your car! Most of the Minor Counties probably have stronger links to their local communities than you find in the first-class game (though that is obviously also a rural / urban issue), which is something that may add to the attraction of the spectacle for some people. You might see a 17 year old batting starlet being tested by bowlers twice his age. You might see a former first-class player give a masterclass in batting in difficult conditions. You might see a bowler whose skill makes you convinced that it won't be long before they're presented with a bigger stage for their talents. What you'll definitely see is 22 committed, enthusiastic cricketers trying to perform for themselves and their teammates at the best level of cricket that is currently available to them." With people like that around, you can be assured that the game, below the first class structure is in great hands. It is getting harder and harder, especially with the advent of Premier League all day cricket. Not many of our wives/girlfriends etc are happy for their bloke to work all week, then be up at 8am to travel to an away game somewhere for a 11am start, before rocking back in at 10pm at night. Something has to give, and therefore the days of family men playing the game are dying. It is also why Sunday cricket at club level is getting worse. and why we never opened for England together, with our pair of double scoops..